Who doesn’t want to earn more interest on his or her money? 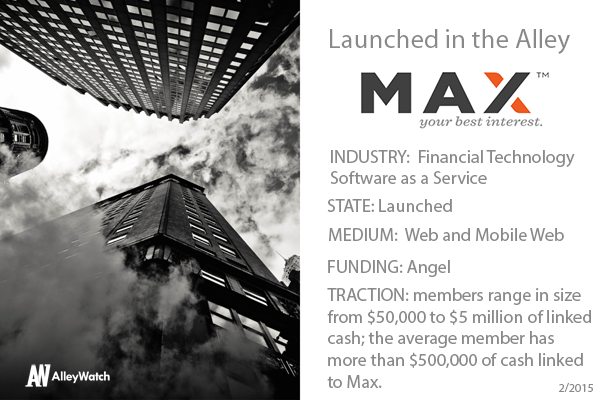 MaxMyInterest is an intelligent, automated cash management technology that helps individual investors earn more on their FDIC-insured bank deposits by dynamically allocating cash balances between online savings accounts, to ensure that account holders earn maximum yields. Max works quietly in the background, keeping an eye out for the best rates and automatically reallocating your cash among your own accounts as rates change. You can view your balances at any time, track the status of each optimization, and access your cash directly. Founder Gary Zimmerman talks about how he took an idea he had, automated it (patent pending) and changed the investment landscape. MaxMyInterest is an automated intelligent cash management solution that helps individual investors optimize their returns on cash. 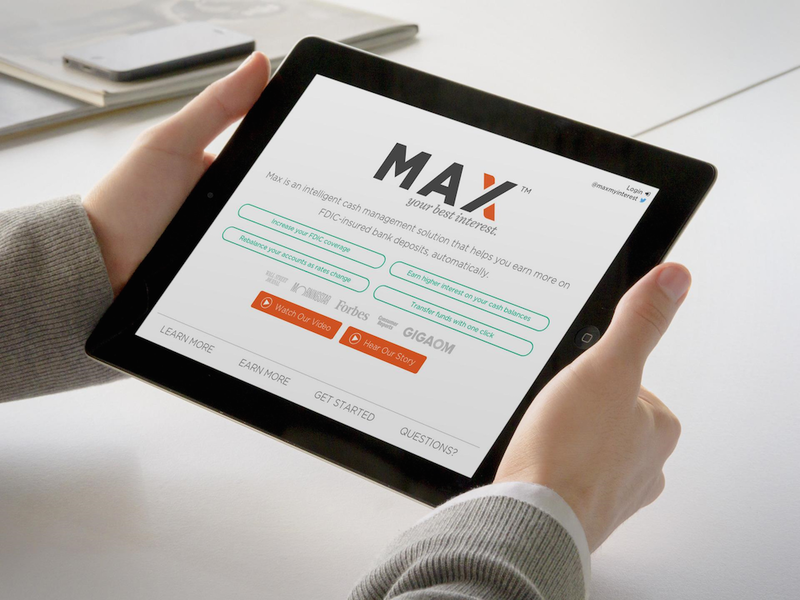 Max helps increase FDIC insurance coverage and yield, automatically reallocating funds among a member’s own bank accounts to earn as much interest as possible, even as interest rates change. With Max, there is no need to switch banks: our members continue to use their existing checking accounts, so direct deposit, bill pay, and access to tellers and notaries all remain unchanged. But rather than earn 0.10% on cash in the bank, our members typically earn more than 1.00%, and sleep soundly at night knowing that their cash is kept within the FDIC insurance limits. Our typical client — a law-firm partner, Wall Street finance type, or doctor — earns an extra $9,000 per year per $1 million on deposit. This is effectively ‘found money,’ often enough for an extra vacation each year or a lot of Hermes ties! At current rates, even someone with $50,000 of cash would earn an extra $450 per year. Cash is the forgotten asset class. For the past five years (ever since the financial crisis), we’ve been in a near-zero rate environment. People have resigned themselves to the fact that cash earns nothing, but it turns out that doesn’t have to be the case. Much like Amazon.com brought efficiency to shopping by removing the overhead of “bricks-and-mortar,” online banking is passing along substantial cost savings to depositors in the form of higher rates. Americans hold a significant amount of their assets in cash – between 20% and 30% of their portfolios. The top 1.5 million households in the U.S. by income currently hold $1.5 trillion in cash and cash equivalents – an average of $1 million per household. This money sits in bank accounts, brokerage accounts and money market funds, where it tends to earn next to nothing. While millions of Americans now have online bank accounts, most high net worth investors are barely aware of the existence of online banks, or the fact that they can deliver dramatically higher yields. That means that investors are missing out on the opportunity to earn substantially more on their cash, creating a drag on their portfolios. With Max, we’ve created a fully-automated solution to help individuals maximize returns on the cash portion of their portfolios, a benefit that compounds over time. Smart investors focus on all aspects of their portfolio, but up until this point there hasn’t been an easy way to manage cash. With Max, we’re changing that. Unlike most internet-based businesses, we have no advertising on our site, earn no referral fees, and don’t share or sell our member list or cross-sell other products to our members. Instead, we simply charge a flat fee of 8 basis points — 0.08% — on the cash that we’re optimizing for clients in their online savings accounts, billed as 0.02% every three months. Given that most Max members can expect to earn an incremental 0.90% in interest each year simply by using our system, our fee works out to a bit less than 10% of the gain our system produces, while our members keep the remaining 90%. Why did you embark upon this venture? I wasn’t looking to start a company. 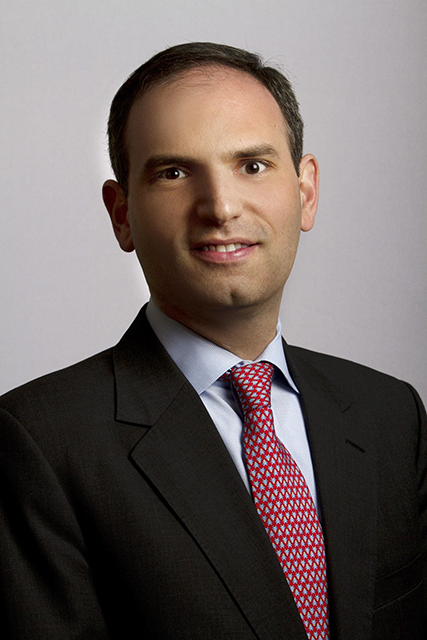 I had spent the first 14 years of my career as an M&A banker, advising corporations, private equity and sovereign wealth funds on their M&A and direct investing activities. But during the financial crisis, I found myself with deposits that were too heavily concentrated at a bank that was teetering on the brink. I needed a better solution for managing cash – and fast – and came up with a system of spreading cash across multiple online banks to obtain greater FDIC insurance coverage and yield. As rates started to change, I started moving funds from one bank to another to maximize yield. After 3 ½ years of doing this manually, I got frustrated and sought a means of automating the process. In doing so, I realized that many of my friends and colleagues could benefit from this system if I could find a way to make it fully automated, so that they could set it up once and never have to think about cash again. I left my job in mid-2013 to see if we could solve this massive market inefficiency and make people better off along the way. From your data, where can we find the highest interest rates for our cash? Max is compatible with accounts at many of the leading online banks in the country, which happen to be some of the biggest and most trusted names in finance. Right now, GE Capital Bank is paying 1.05% on cash held in their online savings accounts. Barclays is offering 1.00%. Ally Bank is paying 0.99% and American Express pays 0.90%. All of these accounts are FDIC-insured, up to $250,000 per depositor, per account type. Via the five online banks currently supported by Max, we can help a couple insure up to $5 million of cash. Most Max members are earning more than 1.00% on their cash, dramatically more than the Bankrate.com national savings average of 0.09%, or most money market funds that yield just 0.01%. We will shortly be announcing some new features designed to bring even greater convenience to cash management. We’re also working on partnerships with private banks, brokerage firms, and registered investment advisory firms, to deliver our cash optimization solution on their platforms. We also plan to expand our network of online banks to give our customers even greater FDIC coverage and continue delivering the highest yields on cash in the country. We’ve been fortunate to have attracted a stellar investor group of CEOs, fund managers, and investment professionals at leading hedge funds, family offices, and private equity and venture capital firms. While we’ve largely avoided traditional VC firms todate, there are many great VC firms in New York that really “get” financial technology and – while we’re not looking for funding right now, it’s never too early to begin a dialogue. We would also love to meet John Mack, the former CEO of Morgan Stanley. For our corner of fintech, there is simply no better place to be. New York is the financial capital of the world and is home to many of the financial institutions with whom we plan to partner. We also estimate that nearly two-thirds of our initial addressable market (in terms of high net worth individuals) live in New York, Connecticut and New Jersey. What’s your favorite NYC happy hour spot? The Harvard Club of New York and the Campbell Apartment, both near Grand Central. The Harvard Club has recently become a tech hot spot in the city, with a mix of entrepreneurs and angels hanging out in the popular Charles River Room. Some of that activity spills over into the bar each evening. In the summer there’s a great new roof deck for evenings when it’s too nice to stay indoors.